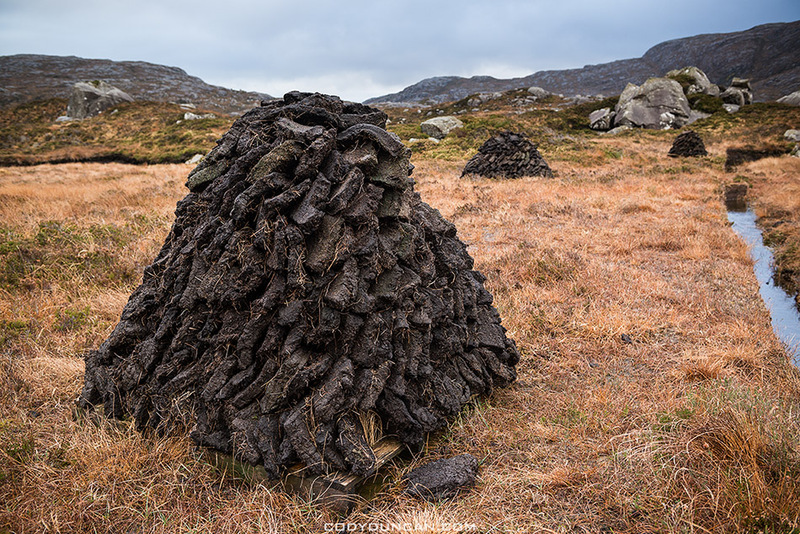 Earlier this year Cody Duncan visited Rhenigidale, with his camera, and returned with some remarkable winter images of Luskentyre, peat cutting fields and of the hostel. His website and blog are worth visiting for they indicate how much he enjoyed his stay there – in January. The stove at the hostel is fuelled by wood and coal, but the peat stacks, crafted by hand and visible on several parts of the island, are a reminder of how important it is to have heating at the heart of a house, hostel or home … especially when the snow falls.